The small Welsh town of Monmouth has decided to put their history into the hands of tourists and citizens alike through the addition of QR codes on plaques placed near historical locations, greatly enhancing the tourists and citizen’s experience (meanwhile the tour guide community are heard muttering angry words around town). 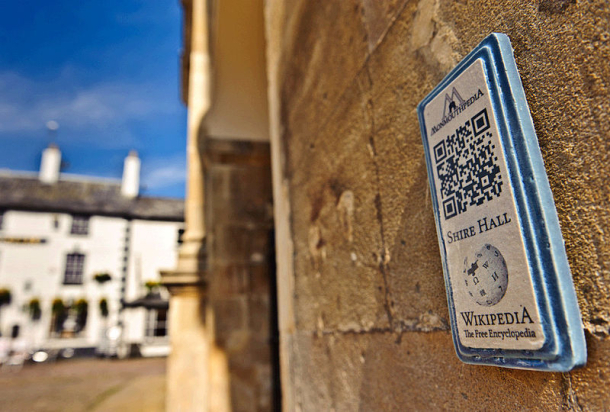 The QR codes allow the interested party to access Wikipedia articles explaining the history and significance of the location, allowing them to see more than just the old stones in front of them but imagine the world that built them, fought for them or loved by them. The town of Monmouth is but an example of what QR codes can do for similar communities, museums, historical societies, parks and governments. Simply connecting the QR codes to encyclopedia pages is certainly a great start, but even more is possible. Think of this: You are standing at the great Coliseum in Rome, dumbfounded and trying to picture how it looked during the height of the Roman Empire, you see a QR code in front of you claiming it can do this for you. You scan it and you start flying through the slave corridors below the coliseum floor, you twist and turn until you are outside walking into the vast stadium as a fan on your way to your seat. You walk up the steps and into an incredible sight, Romans chanting “kill” as they give thumbs down to the Gladiator standing below them, the Emperor standing and doing the same. Next you are down on the Coliseum floor looking into the stands as a Gladiator, seeing what they saw, and living the experience of the Coliseum. Connecting the QR code to such video’s, or other media can improve the experience of the onlooker and bring history, art, architecture, and science to life. And for many the lack of an interactive experience ensures they never visit or are placed in a coma of boredom. Increasing the interactive experience for the visitor, especially the casual onlooker, will prevent such comas of boredom and create newly interested parties, driving an increase in traffic to said destination. Being creative with QR codes, and adhering to QR code best practices, can ensure this outcome. If you are interested in finding an easy to use platform to bring history, art, science, etc. to life be sure to check out Qfuse.com. With a majority of American’s now owning a smart phone and the ability to access virtually any information in the palm of their hand, it has become very important that every industry adapt to this changing landscape by making relevant information available to their potential customers through these handheld devices. The Real Estate market is no exception. With the increase in smart phones QR codes and mobile web sites have become a fantastic tool to ensure easy access to important information by potential customers. For a real estate agent using these tools might be the difference between selling and not selling a given property, or the speed in which said property goes off the market. Fortunately, mobile websites and QR codes offer many interactive features that realtors can use to help reach prospective buyers. 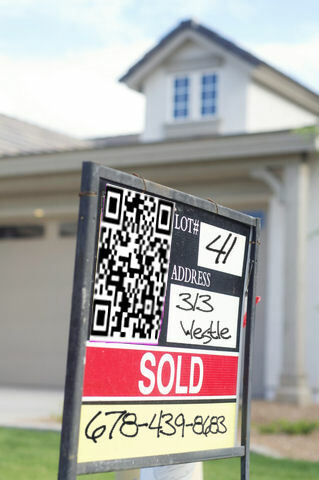 Below are three ways using QR code-connected mobile websites might help realtors and property managers improve real estate sales. On most headstones all you have is the name of the deceased, when they were born, when they died and maybe a single phrase describing their life or giving condolences. For some this does not do justice to the life lived by the deceased. 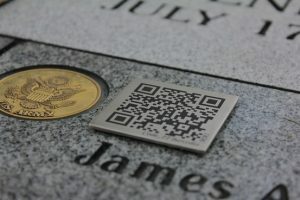 With a QR code implanted on the headstone a much more interesting and thorough description of the life lived by a loved one is possible. A QR code allows the visitor to be connected to a mobile web site on their smart phone describing the life-story of the deceased, the principles the person lived by, the loved ones left behind and much more.